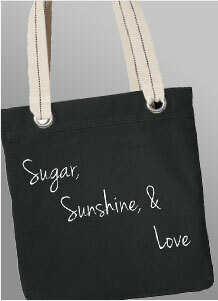 Shopping, commuting or sightseeing, our S.S.& L Tote is your companion. Contrast lining, striped handles and large metal grommets add a touch of whimsy to this casual tote. The open-top design offers easy access. An interior zippered pocket keeps small essentials secure. Our Go To Do basic carryall tote with red handles is light but durable to handle your general needs. 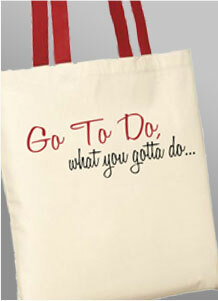 With a slim, fashionable design, and colored handles, this tote is environmentally friendly and truly is a great value. 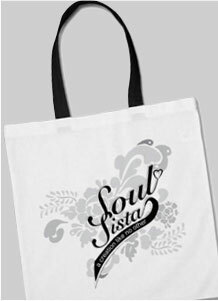 Our tote is made from 100% cotton and has strong handles with reinforced stitching. 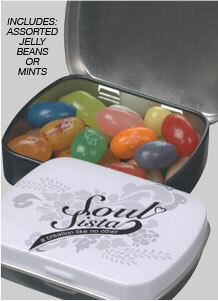 This rectangle-shaped tin (0.70 oz) Filled with fresh mints or your favorite Jelly Belly™ flavor, it’s the perfect gift that your Soul Sista will love. 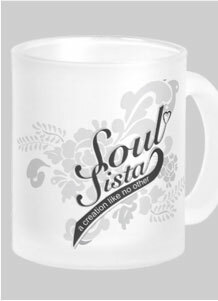 Perfect for anything frosty cold or piping hot. Dishwasher and microwave safe. Makes a unique gift. Get a set of two for you and a friend. 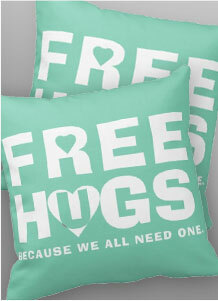 Accent your bed with our Free Hugs comfy pillows. Made of a high quality Simplex Knit fabric, these 100% Polyester pillows are soft and wrinkle free. The perfect complement to your bed or couch during those moments when you just need a hug. • Dimensions: 16" x 16” (square). 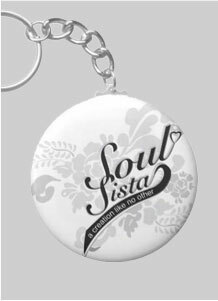 • 100% Polyester; Wrinkle Free.